MOSCOW, January 6 (Sputnik) — A rebel group in the Democratic Republic of the Congo (DRC) has killed at least 70 people since the government issued a warrant for its leader's arrest on January 6, 2011, Human Rights Watch (HRW) reported Tuesday. 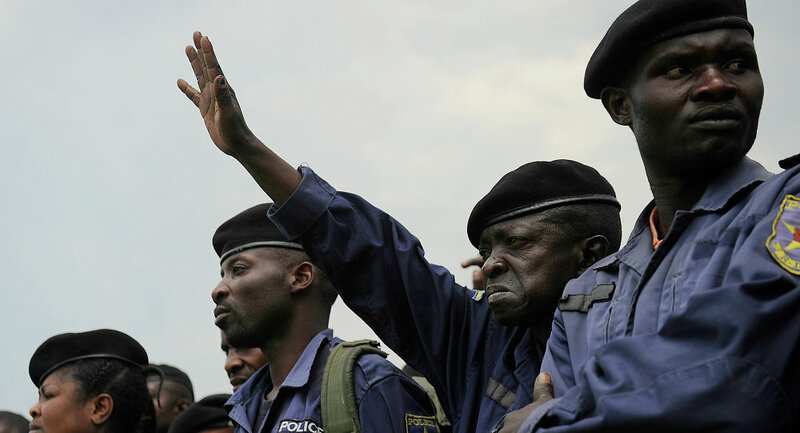 "An arrest warrant alone won't stop a rebel leader like Sheka from committing atrocities – [DR] Congo's authorities need to bring him to justice. The army and UN peacekeepers should increase their efforts to arrest him before more civilians suffer," Ida Sawyer, senior DRC researcher at HRW, was quoted as saying by the organization in a news report. Ntabo Ntaberi Sheka established the Nduma Defense of Congo (NDC) armed group in 2009 to "promote development" in eastern DRC's Walikale Territory and to "liberate the mines" from government control. Since its creation, the NDC has committed a number of crimes against humanity in DRC's eastern territories, which include cruel killings, mass rapes, mutilations and child abductions. "Thousands of civilians in eastern [DR] Congo have been affected by Sheka's abuses, with many who still fear his forces' next attack," Sawyer said. Despite attempts to arrest Sheka, including a joint operation in July 2014 by the Congolese Army and the UN peacekeeping mission in Congo, MONUSCO, the NDC leader remains at large. MONUSCO was established in the DRC in 1999 to observe the ceasefire between the country and five regional African states. The peacekeeping operation is still working with the DRC government to destroy dozens of rebel groups operating in eastern DRC.